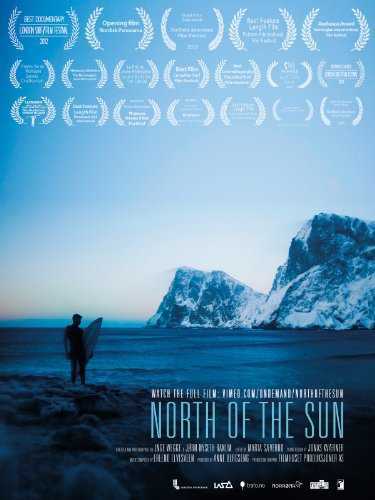 Inge and Jørn spend nine months on a remote island to surf some of the world's finest waves. North of the Sun! Inge Wegge (25) and Jørn Ranum (22) spent nine months of cold, Norwegian winter in the isolated and uninhabited bay of a remote, arctic island by the coast of Northern-Norway, facing nothing but the vast Atlantic Ocean. There they built a cabin out of driftwood and other cast-off materials that washed up on shore and ate expired food the stores would otherwise have thrown away. But the boys brought with them two items of utmost importance: Their surfboards - perhaps their biggest motivation for the arctic adventure. Because the remote bay holds a well kept secret; Some of the worlds finest surfing waves.